On May 30, 2017, the U.S. Supreme Court issued its decision in Impression Products, Inc. v Lexmark Int’l, Inc., addressing two patent exhaustion issues: First, whether a patent owner can prevent application of the doctrine of patent exhaustion by selling a patented product subject to otherwise-lawful restrictions on post-sale use or resale. Second, whether a patent owner’s sale of a patented product outside of the United States gives rise to patent exhaustion. In answer to the first question, the Supreme Court answered “no,” overruling the Federal Circuit’s 25-year-old decision in Mallinckrodt, Inc. v. Medipart, Inc., 976 F.2d 700 (Fed. Cir. 1992). In answer to the second question, the Supreme Court answered “yes,” overruling the Federal Circuit’s decision in Jazz Photo Corp. v. International Trade Comm’n, 264 F.3d 1094 (Fed. Cir. 2001). Lexmark owns a patent on toner cartridges and sells its patented toner cartridges under two alternative options. Under the “Regular Cartridge” option, customers pay full price subject to no restrictions. Under the “Return Program Cartridge” option, customers get a 20% discount if they agree to a “single use only” restriction. Lexmark sells some of the cartridges outside of the United States and others inside the United States. Impression Products, the defendant in the case, acquired used cartridges from Lexmark customers who had chosen the “Return Program Cartridge” option or who were outside the United States, refurbished them, and then sold them to consumers in the United States. Lexmark sued Impression Products for patent infringement, and Impression Products raised the doctrine of patent exhaustion as a defense. Chief Justice Roberts, writing for the Court, held: “We conclude that a patentee’s decision to sell a product exhausts all of its patent rights in that item, regardless of any restrictions the patentee purports to impose or the location of the sale.” The Court rejected the Federal Circuit’s reasoning that the doctrine of patent exhaustion must be understood as an interpretation of the patent-infringement statute, which precludes infringement when a sale is made with the “authority” of the patent owner. The Court explained that the doctrine of patent exhaustion is instead a judge-made doctrine that “functions automatically,” i.e., is implied in law not in fact, and limits a patentee’s rights independent of the infringement statute. 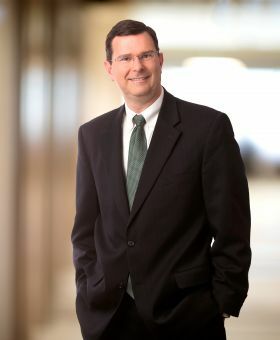 The Court acknowledged that “[t]he single-use/no-resale restrictions in Lexmark’s contracts with customers may have been clear and enforceable under contract law, but they do not entitle Lexmark to retain patent rights in an item that it has elected to sell.” In other words, Lexmark might be able to sue its customers for breaching the “single use only” provision in Lexmark’s sales contracts, but it cannot sue those who acquired used cartridges from those customers for patent infringement. Although it is true that allowing patent owners to restrict patent rights could result in problems such as these, it should be noted that the same or similar problems could arise if the “companies that make the thousands of parts that go into a vehicle” are infringers of patents other than their own. In that case, the owners of those patents could cause virtually the same problems as those posited in the Court’s illustration. The Court also does not consider similar problems that could arise if the part-making companies are able to enforce post-sale restrictions against their direct customers by virtue of breach-of-contract actions. Thus, the Court’s illustration appears to prove too much.